The ordinary guys finding themselves seduced by wealth and lifestyle before being placed in an extraordinary situation is nothing new to the thriller genre. 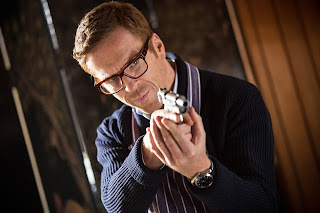 And in the hands of director Susanna White (a predominantly TV series based director), this adaptation of a John Le Carre novel is fairly workmanlike, and unfortunately lacking in many thrills. Ewan McGregor and Naomie Harris star as Perry and Gail, who are holidaying in Marrakech and clearly trying to reconnect. 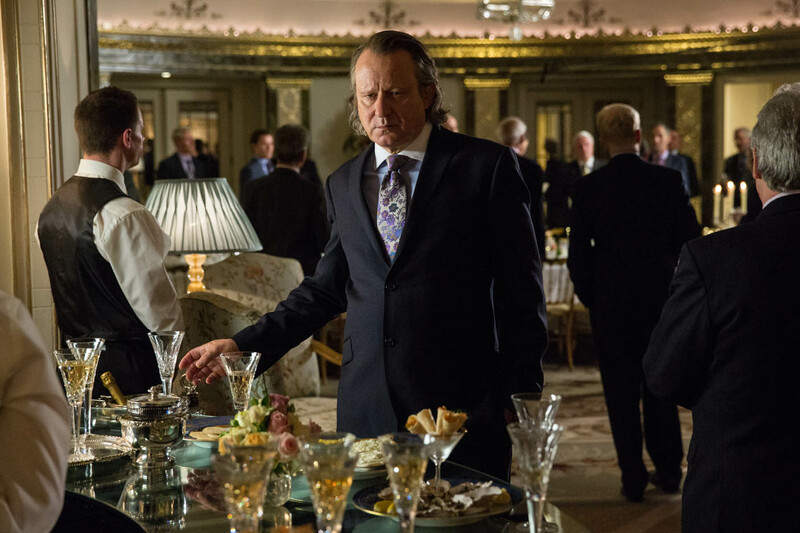 When Gail's pulled away on a work call at dinner, Perry finds himself ensconced in a circle of Russians, headed up by Stellan Skarsgard's oligarch and money launderer Dima. 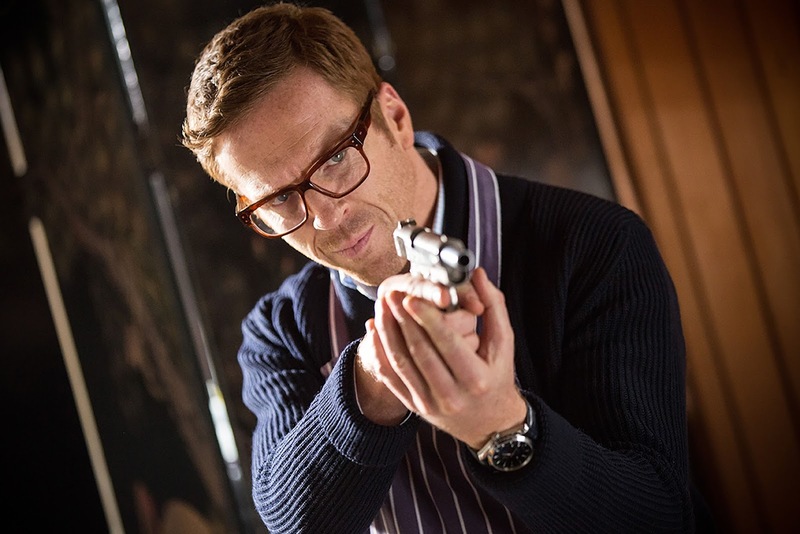 Attracted to the wealthier side of life, and seizing the opportunity it brings, Perry's soon asked by Dima to take a memory stick of information to the British authorities (here headed up by Homeland star Damian Lewis's stiff and starched Hector). Dima wants to defect and bring down the corrupt vein that's coursing through London.... but Perry and Gail find themselves thrust into the middle of a web of mistrust. There's nothing inherently wrong with Our Kind of Traitor. In many ways, White's execution of the Le Carre novel of the same name is a solid piece that lacks thrills to power it along, and feels curiously devoid of suspense throughout. Of the cast, McGregor's fine as Perry, the man who's done wrong by Gail, but wants to do the right thing by others, and Harris is a muted presence as Gail. Fatally, the pair lack chemistry at times, though that could in part be due to the strained relationship they're supposed to portray as details of their chasm are drip-fed out. And any danger they may face is muted by this portrayal of the relationship. But it's Skarsgard who has the bigger presence as the larger than life Dima. His rounded character demonstrates what's missing in this thriller - characters that you really root for and engage with. While his portrayal borders on the over-the-top at times, it is a welcome source of wry humour and a distraction from the character elements that are unfortunately missing elsewhere. Sequences of suspense that would have been page-turners in the original best selling novel are performed with such perfunctory flair that the film lacks a compelling sparkle with which to settle on and contains little sign of ever fully gripping you in its web of mistrust and intrigue. 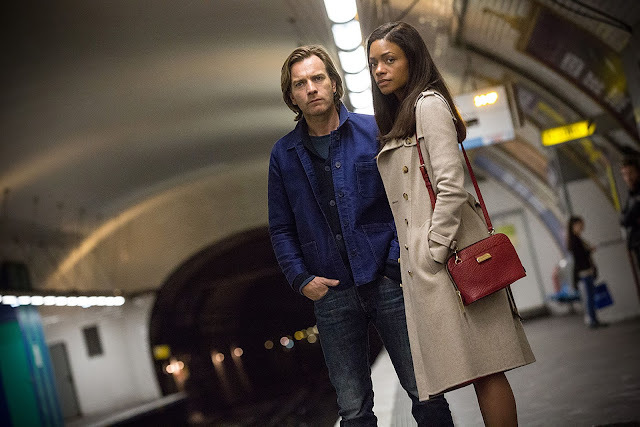 In many ways, Our Kind of Traitor feels like a film out of time; perhaps fans of Le Carre's original novel will get some kind of buzz from its execution, but everyone else may feel this thriller is a little too vanilla and lacking in flair.